The Port of Marseille Fos has hosted a visit by members of the European Parliament (MEPs) keen to see how the port is positioning itself as a vital multimodal freight hub linking northern and southern Europe, with the Fresh Food Corridor project taking centre stage. Karima Delli, President of the Parliament’s Transport Committee, led a delegation of eight members, seeing the port facilities and discussing key projects such as the Trans-European Transport Networks (TEN-T), which incorporate Marseille. A particular area of interest was the Fresh Food Corridors project, a perishable goods logistics pilot route involving France, Italy, Slovenia, Cyprus and Israel. 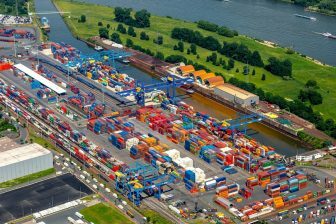 Launched in September 2014 and due to end this October, the aim of the 21.4 million Euros project has been to test a sustainable intermodal transport route for food goods between the Mediterranean and northern Europe destinations by rail and sea. Marseille is one of the key southern ports on the route, along with Venice and Koper (Slovenia). Christine Cabau Woehrel, President of the Port of Marseille Fos board of directors, gave a tour of the industrial set up, with a focus on logistics and pre- and post-shipments, which directly involve the port’s rail infrastructure. She also spoke about the role of the port and its ambition to develop a strong diversification strategy. Ms Delli said the TEN-T program was a large-scale project aimed at developing trade and transport infrastructure in the European Union, and which has been widely adopted by the European Parliament and the European Council for the benefit of freight users and carriers. 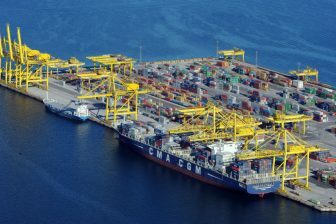 These developments, she said, will make it possible to increase the modal share of the most environmentally friendly types of transport, in which the Port of Marseille Fos plays an essential role. Ms Delli also pointed out the need for access to the port services market and for ports to be transparent. The Port of Marseille Fos is part of two European corridors: the North Sea-Mediterranean and the Mediterranean. 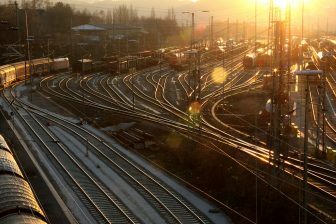 Identified as the port for the central network with a rail network connection to all the terminals, Marseille Fos wants to extend its rail services on its natural hinterland to the national and European network, such as Switzerland. 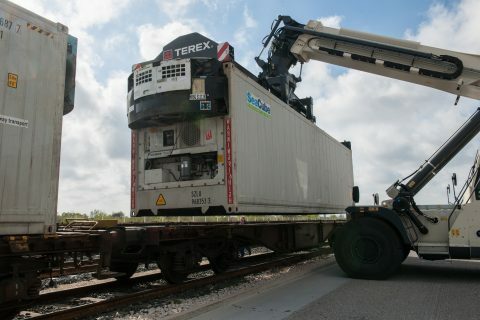 Seven rail transporters already operate out of Marseille-Fos, serving 26 destinations in France and throughout Europe. 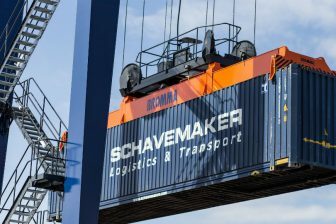 The latest example is a daily rail link launched by Naviland Cargo between Marseille-Fos and Rennes in Brittany, via the Lyon terminal. Naviland Cargo now offers 12 destinations in France and Europe from Marseille-Fos. Ms Cabau Woehrel recently called for a ‘united approach’ by members of the Medlink Ports group to help realise the full potential of hinterland rail connections from France’s Mediterranean ports. As this year’s Chair of Medlink Ports, she is pushing hard to champion the benefits of rail over road.